Pilates Studio Insurance provided by Sports Insurance Solutions covers commercial general liability, property, medical payments , professional liability and much more. We quote from some of the most respected studio policy insurance carriers across America. Pilates studio insurance provides all the protection it needs from a multitude of risks to the studio. Since these risk exposures may lead to expensive lawsuits and litigation, you’ll have security and business with decent business insurance. A business owner’s coverage is a package policy which combines different coverage into one package. You can customize the BOP to include policies for risks such as coverage for contents and your building , electronic information, employee dishonesty, or paperwork. By way of example, if you’ve employee dishonesty coverage and also an employee steals from your studio, then the damages are covered by the BOP. General liability is the most basic sort of pilates studio insurance, and generally the insurance coverage a studio owner will choose. General liability insurance protects against types of liabilities, including obligations that might occur after the members have abandoned the pilates studio, and those related to the goods of the studio assumptions. If a member has an injury due to a product, like getting sick after taking vitamins you sold them or gets a disease, you could be responsible for the damages. Premises Liability — Should you have a member which has an injury on the assumptions of your studio, possibly tripping over a system and spraining an ankle, or having another sort of injury from the building or the parking lot of your studio, premises liability provides coverage. Completed Operations — Any type of bodily injury, injury, or illness that a member gets afterwards leaving your studio and asserts it’s from services or products you supplied, can result in you being charged for the damages. These damages will be covered by completed operations as part of the overall liability insurance. .
A pilates studio is a place for pilates teachers to teach through exercises. Pilates employs many exercise techniques to enhance someone’s flexibility, strength, and coordination starting with the stomach, known as the core muscles. 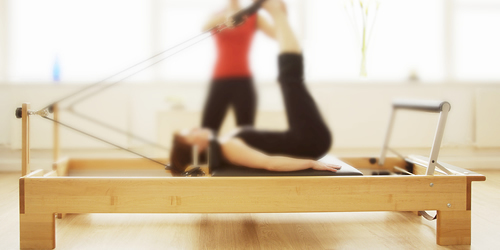 Pilates instructors work to educate pilates courses of diverse skill levels. The pilates studio business owner may be an instructor, and is liable for the studio’s business operations. A pilates studio is a great place for individuals enhance their strength and flexibility and to work these muscles that are essential, but in addition, it includes a variety of risks. As the company owner, you ought to be concerned with bodily harm or accidents during liabilities from the construction and equipment, workouts, and legal liabilities. Pilates studio insurance is an important part of the responsibilities of the company owner, as it protects you and your company against a variety of risks. Pilates Studio General Liability Insurance If you have a minimum of one employee working in your pilates studio, then you should get worker’s compensation insurance. Most US states require worker’s comp, and will offer coverage for employees in the event of injury or an illness.